You are currently browsing the tag archive for the ‘homeschooling’ tag. I had an article go live on my Home and School Mosaics magazine on Dec. 29. Well, I was still on Christmas break, so I couldn’t post it. Today, it is back to work, so it is my first task of the day to post this article. Getting back to work after the break isn’t easy, but I hope you enjoy my article about babies learning ASL making your first days back to a normal a little better. It seems many parents teach their babies ASL signs as well as Spanish or French numbers, colors, and basic words. I recently saw another story about a celebrity teaching her child ASL starting shortly after birth. It seems to be the thing to do. I got confused, though, when I met or consulted online with hearing parents with Deaf or DeafBlind children who were now afraid to teach their child ASL. The reasons were varied. I wanted to know if the reasons were valid or based on fear, so I did some research. This post is about what I learned and now want to recommend to all parents. Let me know what you think. I’ve learned lessons the hard way over the years, especially about education. Today, I share a few of those with you over at Home and School Mosaics. You may be an “expert” in education, a compassionate teacher, a parent of a unique student (they are all unique), or a struggling student like me, but I think my lessons learned the hard way might either rub you the wrong way or ring true as a bell. Regardless, with an open mind and heart, you might learn something or at leas see things in a different light. Read Experts Without Answers to find out. If you are like me, you must have a grade program. I don’t like figuring out the grades, and I need something to keep everything organized digitally because there is too much paper and too many things for a grade not on paper. There are a few homeschool programs out there which are fine, but none that are accessible. Some, though, are just public school oriented re-packaged for homeschoolers which makes them too complex for most homeschoolers to bother. We don’t need discipline logs, parent-teacher conference notes, lunchroom fee modules, and the like. We need something flexible in regards to assignment types, grading styles, and keeps transcripts. Some of us need attendance sections, too, along with simple lesson plan listings. Anyway, flexibility allowing uniqueness is hard to come by in grade programs because most think too much like regular schools. My Home School Grades does an excellent job, is constantly listening to their consumers adding and adjusting, and is accessible, too! My Home School Grades’, an online program, main appeal is its simplicity. It has an uncluttered view even with numerous students or classes listed on the screen. Though simple and easy to use, the program has the features you need in the homeschooling world. You can have as many students as you need, and each can have as many classes as you like to provide. You can add activities that can include experiments, films, theater, field trips of every destination. That simplicity allows you to have your unique feel to your student’s academics and experiences. You can choose the curriculum descriptions of numerous popular publishers or list yours as custom. You can’t list your description, but if you’d like to suggest that the vendor add that feature or any feature, click support at the top right of the screens and suggest away. They are adding people’s suggestions all the time, so they make it very easy to suggest something to them. In fact, the company is working on including attendance now because consumers suggested it. This company is really listening, so ask away! Set up of your school information which is used for transcripts takes only a couple of minutes including setting up your name, address, and style of grade display which can be edited any time in the account area along with your password. Then you add your students and their classes in a matter of minutes even if you have several students. When you add a lesson, it is just as simple, and you can list ahead and add grades later or add them as the students complete them. There is nothing complicated here, and it is all easy to find and figure out on your own. But, if you have trouble or if you want to see how easy things are before you buy, check out their tutorials on the steps that are found on the front page of their web site. You can also designate your classes as Advanced Placement (AP) or Honors which will automatically be given a higher GPA point value by default. You can list your grades by lesson plan for individual assignments and grades or by a single, final grade for the course. If your student is doing Dual Enrollment, you can designate that and list the college where the course is taken. You can adjust credit when applicable for .25, .5, .75, or even 1, 2, 3, or 4 credits depending on the type and schedule of course. You also have an option for non-credit if you just want to list the experience, but no credit is given. You can list the course as full year, Spring, Fall, Summer, or 1st, 2nd, or 3rd Quarter. Using your student and course data, transcripts are clear and professional showing school name, address, grading scale, course and credit list, total credits, and GPA. The transcript’s second page lists the activities the student has participated in during their academic career. You can export your transcript to a saved file or print for your records. The grading scale calculates the GPA by using 5 points for Honors courses down to 0 for 59 and below and 4 also given for classes you deem as Pass/Fail. I love the fact that Social Security numbers and graduation dates are not stored on the My Home School Gradesserver, but is entered each time you export transcript. You click the settings buttons on the Export Transcript screen and enter the Social Security Number and Graduation date and then hit print. You can print without that information if you desire. Settings options also allow you to hide certain grade levels and activities, if desired. With these features, you will certainly find My Home School Gradessimple, but flexible and professional for use. In addition, the online program is fully accessible for low vision and screen readers and braille display. At this time of writing, it is the only homeschool grade tracking program that is accessible to my knowledge, and that knowledge is extensive though not complete. There are a few screen reader focus issues with My Home School Grades that hinder navigation slightly like when a pop up screen is present for adding/editing a student or lesson or course, the braille display advance command or the keyboard tab still advances on the back page for several places before finding the pop up page. This is an easy fix, but it needs to be addressed because a blind person will have no way of knowing that the button they clicked actually worked by popping up a screen. Again, it is easy to fix, and I am certain based on the knowledge of the vendors’ customer service reputation which is excellent that this will be handled in the near future. Despite this little hang up, the program is definitely usable by a low vision or blind user, and that makes this reviewer extremely happy. To make it even better, My Home School Grades works well on most tablets and smartphones connected to the internet. On the iPhone, My Home School Grade’s web app through Safari is also completely accessible to Voice Over and a braille display compatible with Voice Over. You can keep up with activities and lessons while on the go which makes handling your homeschool even easier. Now, it is your turn. You can check out My Home School Grades on their web site at https://myhomeschoolgrades.com. You can try it out for a 14 day free trial, see how the online program works with their tutorials on their home page, and get the facts on their “Learn More” page. The price is one of the best things about this program because you get a lifetime membership for just $49.99. With that, you are set for all of your students throughout their homeschool years. Growing up, I liked the things it could bring when I had it evidenced by my circling toys and dog-earring pages of my much loved “Sears Wish Book” catalog each year. If I wanted a coke, I walked from the house down the country road into the little town looking for empty glass coke bottles that I would return for money. I usually found enough to buy me a coke and occasionally enough to also get peanuts to put inside the bottle to eat as I drank my coke. If I was really lucky, I got enough empties to get a Moonpie with the coke instead. Ah, those were the simple days. I cared little for learning about money. At six, my parents got me a savings account with a small deposit. I added birthday and Christmas money to it when I got it. I received an allowance. I could save it longer term if I had something I wanted that required more than a few allowances. At sixteen, my parents opened a checking account for me. I received $100.00 per month then to buy gas for the old family car that I now drove and buy whatever I needed. I learned the ways of checking accounts, budgets, and such the hard way. Saving, though, didn’t come quickly. I was well into my adult years and had a family of my own, struggling, before I took that seriously. I believe many children may be like me, though. School never covered these topics, even economics. A little help might have gone a long way. Recently, FamilyMint sent me a simple, but thorough course to review. Let me tell you about it. The FamilyMint Money Management Certification program is a work book program ideally suited for students in grades 5 and up. Children from age 6-14 with parental involvement can benefit, though. The booklet is about fifty-seven pages long including printable pages of checks, deposit slips, check registers, budget planning forms, and exercise assignments. The booklet can be used as a stand-alone product or with their online software which provides a simulation of the more modern way to do your banking tasks, web banking. After instructions on how to use the course, there are four chapters on Tracking Your Money, Goal Setting, Budgeting, and Interest-Growing $. There are topic related exercises in each chapter with an overall, learning summary at the end which is a short essay form to allow the student to describe in their own words what they have learned throughout the course. Though filled with vocabulary and concept type questions to aid comprehension assessment, the assignments are actually more project-based allowing the student to set up a virtual bank account (either on paper or online through the web banking simulation) to practice hands-on the elements of financial literacy. The student begins by making a deposit and listing it on the General Savings Tracking Worksheet which can be copied from the book or printed from or kept on-line, and then start keeping a record of all money coming in and going out. This begins the process of discovering how the student uses money and begins thinking about the best ways to manage money. The chapters include clear, concise explanation of concepts and a vocabulary list. The lists of vocabulary are in sidebars on the pages that use those words. Throughout the reading, the vocabulary words are found in bold print to draw attention to how the vocabulary words are used in context. You have definition and context use within close proximity to enhance comprehension without breaking the flow to go back to a main list of definitions. There are also “Fun Money Fact” boxes throughout the chapter giving extra, tidbits of information that interesting to remember. The chapters end with exercises designed to give the students hands-on practice over the chapter’s objectives. I love the fact that the material is not overwhelming, but still covers all of the essentials of good money management. Also, the pace can easily be set by the student, and the parent can decide when the material is mastered by observing the performance progress. I also loved the ways that the author explained interest. The student could easily relate and see the concept, especially if they actually do the activity the illustration describes. Now, the program might could cover more topics, but for the age range, it covers the essentials and does it pretty well for most students. Parental involvement, which they encourage, will help others ease into the material. Unfortunately, being Deaf and blind, I can’t review the web site, though I was given access, because the site uses Adobe Flash which is totally unaccessible to a braille display and screen reader. I will have to leave that part of the review to others on the Mosaics Review Team. I hope the developers will look into ways of making their site accessible in the near future. As far as the text-based curriculum, I had to scan it in with optical character recognition software to reduce it to a text document that would allow me to read it in braille. That isn’t easy because that doesn’t always work overly well even with the best of copies. There are usually mistakes that I may or may not be able to figure out by myself. Hopefully, the program can be provided to Bookshare.org, so that organization can provide it to blind and dyslexic students in various formats. As far as the checks and deposit slip templates, they can be used with check writing guides or even made tactile enough with wax pencils are puffy paint lines. The other forms like check registers and tracking logs and goal sheets can be recreated in a text file in a more understandable format for the blind and DeafBlind. Hearing blind can usually use talking software like Money Talks from American Printing House for the Blind. We have been using the program with an older Special Needs student with developmental delays with great success. The key, of course, is parent involvement. A parent who is also teacher knows what their child can grasp and how to best present it to them for best reception. The Family Mint Money Management Certification program covers the essentials in a clear way which should give the parents the tools they need to teach these financial essentials to most students capable of using the daily services of a bank and preparing financially for the future. The program has several pricing options that make it affordable. If you don’t wish to use the internet, then purchase only the workbook. Normally, the subscription service for the online software is $24.99 per year or $4.95 per month which allows multiple student accounts. However, you can not purchase the workbook and get the premium upgrade for a lifetime subscription to the online software usable by multiple students for $29.99. If you wish to try the online program first to see if it suits your needs, you can get a 14 day trial subscription for free. There are some features of the paid version that you will not have access to with the free trial, but the trial does give you access to the basics needed. You can also order additional workbooks, if needed, for 50% off. The program, written by MBAs has won numerous awards. After using the program, I feel I can completely recommend it for teaching the appreciation of money and financial planning. To check it out further, go to http://www.familymint.com. Homeschool Mosaics is Now Publishing Blessings Just For You! Homeschool Mosaics has now published two wonderful e-books full of so many blessings for you and your family. The first is called Sanity Savers, and it is full of ways to save your sanity in household tasks, homeschool tasks, and more. The other is called Christmas Blessings, and that is certainly what you will get plenty of from this e-book, lots of blessings. You really need to check them out. You can find them at Amazon right now. You will always be able to find them on Amazon.com by searching for Homeschool Mosaics. For now, I have the link for you here. Need an Accessible On-line Math Or Homeschool Umbrella Option? Thinkwell is an online math education site. I have heard so much about it that I thought I would try it out. I wanted to see if it was accessible for the deaf, blind, and deafblind. I also wanted to see if the program would be suitable for an accredited umbrella program that required the parent-teacher to submit documentation such as copies of tests and grades for credit. I had heard from many that it covered several age levels from middle school through high school and Advanced Placement and college level, too. While educationally, it might not be a suitable option for everyone, the program is high quality and proves beneficial to many. While, I may not be discussing the academic portions of this program, I will quickly describe it to you. There are numerous chapters in each course covering a full curriculum of objectives for each course. Each chapter has a video lecture followed by practice assignments, a quiz, and a chapter test. There are also interactive activities for added interest, practice, and enrichment. Along with that, you will also find printable worksheet type exercises for off-line practice, too. A fellow contributing writer and co-founder of Homeschool Mosaics reviewed this site a few months ago following actually using the programs for two years with her own son. You can get her educated opinion by reading her review on Homeschool Mosaics here: http://homeschoolmosaics.com/thinkwell-for-math/ . Now, let me tell you what I found out in regards to accessibility and umbrella programs. Although, the site isn’t totally accessible to a braille display, I was impressed by how much the site developers did try to consider handicapped students. Their lecture videos which are the key to the program are closed captioned. You can turn them on from the buttons at the bottom of the video window. In addition, I was shocked to see that they had a complete print transcript of the video’s audio with detailed descriptions of the examples written on a chalkboard in the video. This would make it very easy for a hearing blind student to follow the video during play. It also would make it possible for a blind student to use a screen reader to read the transcript for the video to further understand the teacher’s lecture. A deaf student could also use the transcript to augment the closed captioning, if needed, since the problem examples are described well. In addition, the transcript file is a text .pdf making it accessible to a braille display, too, so a deafblind student could use this transcript to access the all-important teacher lecture. I highly commend the site developers for taking this much needed, but rare extra step to add accessibility to the site. Normally, the deafblind student would not have the ability to use a site at all even if a transcript is provided, since most provide image-based rather than text-based .pdf files. The practice worksheets, quizzes, and tests that I have mentioned that follow each video lecture are also available in two formats: the online, computer checked format and the .pdf format. There is no audio connected with the practice tests, quizzes or tests, so a deaf student can easily take the on-line test to receive their results. A hearing blind student can possible do the on-line format with the screen reader. I can’t verify that because I am DeafBlind, so I am unsure if the screen reader is voicing the on-line version. Regardless, the .pdf format of the worksheets, quizzes, and tests are also text-based instead of image-based, so a braille display will be able to read these. To facilitate this use, open the on-line version and let the student orally answer or open .pdf version , print, and use a braille and slate to record the answers for these assignments. The teacher can then use the on-line format to record the student’s answers for computer grading and record-keeping. This is definitely an easy way to do the program for the blind and deafblind. There are some animated flash interactive activities that are not accessible for blind and deafblind and possibly not to the deaf for the ones that have audio that is needed for completing the task. However, these are enrichment activities that are not critically needed to ensure successful completion of the courses. Although the blind and deafblind can’t do the entire site independently, the quality of the education is high, and there is sufficient access along with a simple step for modification to make this program a beneficial choice to those students who are already good with using a computer with a screen reader and/or braille display. So, if you need or want an on-line choice for your student’s math curriculum, Thinkwell is a beneficial option to try. In addition to usable access for the disabled, Thinkwell pleases me as Principal of an accredited homeschool umbrella program, too. Regardless to whether the program is a divided home/center program or a home only program such as mine for the most part, Thinkwell has the capability to fit your documentation and contact hour requirements. The courses cover objectives for each subject and level well with suitable instruction and practice for a typical school year. All assignments can be printed as blank assignments to be used for on-site observation, as needed. Completed on-line activities can be printed with answers to show correct/incorrect questions specifically, as well as, the overall grade on the assignment. In addition, there is a suitable number of activities to allow for the programs that meet one, two, or three days a week and allow for practice at home through practice worksheets and interactive activities, as needed. Since there are also courses that are Advanced Placement level, students in these programs have access to AP materials that can be difficult for some students to obtain easily or affordably. Some colleges also use Thinkwell to provide actual college courses for them, so that adds to the evidence that Thinkwell provides quality instruction with a high quality content level, too. A twelve month subscription to Thinkwell is $125-$150 for full year, full credit course, but there are many places that provide discount codes if you look for them. Either way, it isn’t too bad for a high quality program that is accessible and suitable for many accredited umbrella programs, too. You can find out more at http://www.thinkwellhomeschool.com/. I was not asked by Thinkwell or anyone else to review this program. I chose it to review to provide options for disabled students and students involved in umbrella programs. I did use their advertised free trial to gain access to the program as any consumer can do. I have not and will not be compensated in any way for this review. The review expresses my honest opinion of this program. I Can Teach- Just Differently! Have you ever been told or said that you can’t do something because of limitations or even disabilities? Well, let me share with you what I have learned through my own limitations and disabilities. Check out my post for this month on Homeschool Mosaics and then stick and around and check out all the other great and wonderful writers found all in this one terrific place! I have missed a few months updating my blogs. I am really sorry. Unfortunately, I have been very ill, and I had emergency surgery a month ago today. I have been told that I almost died. Of course, I am thankful to God that He still has more for me to do, so I am still here. Life is good. I am ready and looking forward to Heaven, but I want to stay here for as long as God will allow me to serve Him. I will now get back to more regular updates of what is going on in my life, homeschooling, and DeafBlind Hope with my journey through the Dark Silence. Today’s post is a little of all three of those. I have had a few shares of my own column on Homeschool Mosaics, but I haven’t plugged myself. I even missed last month’s post I did because I was having surgery. So, I think I should catch up a little. And don’t forget, there are other writers even more talented and interesting than me on Homeschool Mosaics every day, so check them out, please. I haven’t been able to plug for them due to being so sick and then recovering for surgery. These writers are certainly worth looking into. Now to see my post for last month and this month go to www.homeschoolmosaics.com. My post for May is at http://homeschoolmosaics.com/om-cane-skills/. I hope you enjoy it. I also had a post of my column go live today as well. It is found at http://homeschoolmosaics.com/guide-dogs-the-perfect-upgrade/. I think you will find some uplifting stories here about my wonderful guide dog, Joey. I will come back soon and tell you about my experiences in the hospital from a disabled perspective. Foreign language credit for high schoolers can be a nightmare for many homeschooling parents and students. Many public and private school students feel they are lucky when their state does not require it for high school graduation. Homeschoolers also often try to avoid it, but many find that colleges will not accept students without it. However, foreign language should not be overlooked as an essential part of a child’s curriculum. Like art and music instruction, foreign language study enhances intellectual growth in the student. It can also improve public speaking skills and self-confidence. Foreign language instruction isn’t complicated if you shop around for the best curriculum to suit your needs. The biggest decision you have to make is the first one, though: Which language do you want your students to learn? While there are many, in the homeschool world most choose French, Spanish, German, or Latin. There is another choice that many overlook, but it has a great potential to do good in the community around you. Why Study American Sign Language? As the third most-used language in the United States, accepted as a true language by the U.S. Supreme Court in 1989, and acceptable for study in most public and secondary schools for foreign language credit, American Sign Language (ASL) is an excellent choice for study. Some foreign language teachers question the validity of ASL as a true language, but linguistics experts do not question it, because it has its own system of grammar and syntax and is constantly changing as it grows within its culture and community of speakers. ASL is now accepted in most states for foreign language credit for high school graduation, and most colleges recognize it as well. Many colleges are even beginning to offer ASL instruction, with more and more offering interpreting programs in order to help address the certified interpreter shortage across the country. High schoolers and families learning ASL have the potential of bringing light into a dim world for many Deaf people, especially DeafBlind people. You and your students’ lives can be enriched by the love and support of the Deaf community, which is indeed a culture of its own. The study of ASL cannot be carried out successfully without a study of the culture and its history. Deaf and DeafBlind people are at a disadvantage in the hearing and sighted world. Communication issues prevent full access to many of life’s activities that most of society need and enjoy. If more people in the hearing world would take the time to learn ASL, a bridge could be built that would allow three cultural groups to meet, and new and exciting relationships could be developed. A Deaf person could easily ask a salesperson for help in the department store or order a meal at the restaurant or merely chat with a hearing person in the long line at the grocery store. A DeafBlind person could more easily find an assistant to help her write out bills or call a repairman to fix a broken window or simply have a visitor to share the afternoon with, dispelling the boredom for a while. Anything you can do in communicating with the Deaf or DeafBlind will be such a joy to a person who is sidelined from the hearing world due to communication issues. If you find that you truly love American Sign Language and the Deaf culture, consider becoming a certified interpreter. There is a shortage of interpreters across the country. Trained interpreters are needed to help Deaf and DeafBlind people thoroughly understand what is happening in legal and medical situations. Their health or legal status could be in danger if they do not fully understand what is happening in those situations. Mastery of ASL is also a key to careers in Deaf Education and DeafBlind Studies. Learning ASL has the potential to help in so many ways, and no matter how big or small, the help is so very needed and appreciated. If the question now is, “Okay, I want to teach ASL, but how can I go about teaching a language that is so different?” the help is out there, and finding it is easy. Many colleges and area agencies for the Deaf offer fairly inexpensive community classes, which are excellent choices. There are free options as well. The best free options are found on the Internet. The website http://www.lifeprint.com, created and operated by Dr. Bill Vicars, a Deaf ASL native and certified ASL teacher, is highly recommended by many Deaf agencies and by the Helen Keller National Center For Deaf-Blind Youths and Adults. You also can register with Lifeprint and submit lesson work and videotapes that are accepted for full credit in many places. Numerous print resources are available for the study of American Sign Language and Deaf culture. A curriculum that gives a thorough study of vocabulary, grammar, and syntax is a series titled American Sign Language Green Books by Dennis Cokely and Charlotte Baker-Shenk. This series is published by Gallaudet University Press, a division of the first school for the Deaf and Deaf College, Gallaudet University. The Everything Sign Language Book: American Sign Language Made Easy by Irene Duke is a good choice for finding a lot of information in one place. The American Sign Language Phrase Book by Lou Fant, The American Sign Language Handshape Dictionary with optional flash card sets, and The Gallaudet Dictionary of American Sign Language are excellent resources, all of which can be purchased at http://www.amazon.com. "Fingerspelling Chart ABC copyright by Lifeprint.com"
Find and use a chart of the American Manual Alphabet for fingerspelling. Twenty-six handshapes correspond to each letter of the alphabet. The Manual Alphabet is used in only a limited fashion in ASL, but fingerspelling and the handshapes play important roles. The Lifeprint website offers an alphabet chart, and most ASL resources will include one. Regardless of the particular American Sign Language curriculum you choose, find a mentor—an interpreter, ASL teacher, fluent signer, or native speaker, who can make sure you are learning the signs properly and using them correctly. It is difficult to learn a sign using only a picture or even a video presentation. If possible, find a mentor in the Deaf community. He or she will help you not only to properly apply the skills learned in the curriculum, but also to enrich your vocabulary. You can form lasting bonds that not only will enrich the class but will enrich your lives as well. Before you begin your study of American Sign Language, there are a few things that need to be considered. Many hearing individuals have the misconception that ASL is an easy or a simple language. That is probably derived from a misunderstanding of how the grammar and syntax works or from a direct translation that sounds similar to baby talk, but isn’t. ASL is a rich visual language that actually paints pictures with more detail than any verbal language does. The grammar and syntax is more like Japanese or Navajo than English. Learning any foreign language can be a challenging task, and learning American Sign Language is no exception. Consider this when choosing the language of study for your student. Another aspect to consider is that some students who may have been overlooked for foreign language study due to learning disabilities, autism spectrum disorders, or auditory /visual processing disorders may be capable of learning and actually benefiting from acquisition of a visual language rather than a verbal one. Also, many hearing people think that any form of communication done with signs is sign language or ASL. However, many modes of communication use the hands to facilitate interaction and teaching of English to the Deaf. Signed Exact English (SEE) is one in which every English word is signed. It uses ASL signs and SEE signs, i.e., signs made to cover signs not found in ASL, because ASL doesn’t use the same syntax as English. Pidgin Signed English, also known as Contact Language, is another tool that is used to bridge the gap between the hearing and the Deaf. It uses mostly American Sign Language signs, but in English word order. It is similar to ASL in that you don’t sign the forms of “be” or every single word. All of these approaches are ways to communicate with the Deaf and may be beneficial if communication is the motivation or if used as a bridge to teach English skills to the Deaf. However, these approaches are not foreign languages, because they do not have a syntax or grammatical system of their own. They merely represent English words formed with the hands in a visual manner. For this reason, study of these approaches does not qualify for foreign language credit at the high school or college level. When you choose a curriculum, ASL must be listed as the language of study. A listing of “sign language” is not enough to identify the subject as American Sign Language. Finally, ASL study must include a study of its history and culture of the Deaf community. In no other language have the creation and evolution of a language been so obviously impacted by the history and culture of its speakers as with ASL. Your study will enhance your understanding not only of the language but of the lives of members of the Deaf community as well. Their struggles and progress have united them uniquely as a community. With all this good information from reputable sources, there are no excuses to not learn American Sign Language, a tremendous skill that can be acquired and enjoyed by you and your students. Do yourself a favor and after checking with your colleges of interest and/or your state requirements regarding foreign language credit, seriously consider American Sign Language for your students’ foreign language credit. The choice can bring joy to your family and the life of many Deaf and DeafBlind people. First published by The Old SchoolHouse Magazine, Winter 2010/11. One of the many problems facing some students in learning math is that they have trouble reasoning or thinking logically. The student may have been presented facts previously that they memorized for a tentative period, but they didn’t learn how to use those facts to reason or think logically about problems given to them. Thus, the student tends to forget many of the math facts shortly after the test. One problem with teaching a student to think logically is creating problem samples that are interesting and suitable for applying facts learned to deeper levels. The Critical Thinking Company has long established that they can produce materials designed to teach a student to think mathematically and apply the math facts to useful and interesting problems. Their newest edition to the Mathematical Reasoning series, Mathematical Reasoning: Middle School Supplement continues that tradition beautifully. My high school and middle school-aged students have been using this product recently in order for me to review. Let me tell you about our experience. First of all, Mathematical Reasoning: Middle School Supplement has fifty problem sets covering topics typical of Middle School level from 2D Geometry to Probability to Per Cents to Statistics to 3D Geometry along with some higher level thinking practice on miscellaneous topics. There are a hundred pages of actual content with fifty-four remaining pages of detailed answers. Each lesson comes with a list for review of any math facts needed to solve the problems for review. In the answers section, strategy tips are also listed for each lesson if the student needs a little help finding the process to solve. Each problem was developed to stimulate mathematical reasoning and provide enrichment and practice for specific skills. The problems are not particularly real-life oriented, though, so if you are looking for that kind of problem set predominantly, you won’t find it here. The author might provide more of that in the future, though, if needed by many. While the answers provided are detailed and comprehensive, many problems do have more than one solution method, so students can be encouraged to be creative in the process. The publisher suggests that the book can be used for enrichment, but also as an overall assessment tool of how well a student learned middle school concepts. I found Mathematical Reasoning: Middle School Supplement useful with my gifted Sixth graders and for my lower level Ninth graders. The Sixth graders were excited by the idea of doing middle school math problems, and also found them challenging and interesting. The 9th graders needed to revisit the math facts and practice using them and focusing on the thinking process of working the problems designed for a specific skill. Many found the work in their own books too challenging. These problems were just the right fit. The Critical Thinking Company has its Mathematical Reasoning series in nine levels from Pre-K to 8 all focusing on the strategies need for solving a wide variety of math problems. Other workbooks covering other subjects and topics are also available on their web site. 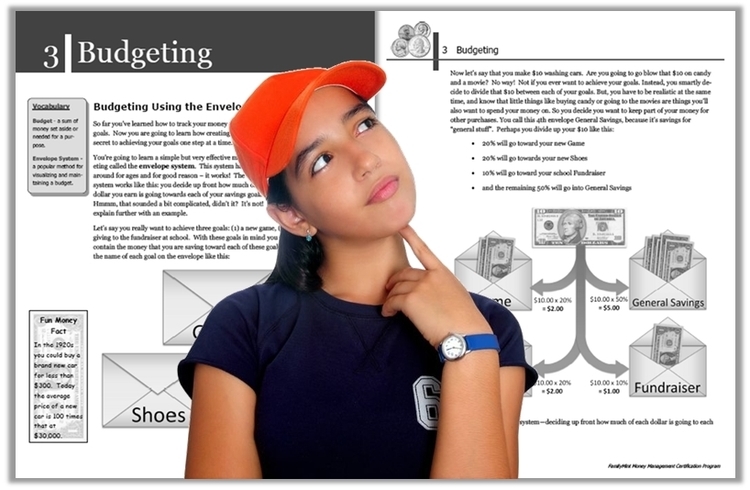 You will find Mathematical Reasoning: Middle School Supplement on their site at http://www.criticalthinking.com for $19.99. The series will be a great step to improved math reasoning preparing students for upper level math courses, as well as improved test scores. I also recently reviewed The Critical Thinking Company’s Editor In Chief: Beginning 1. Please check it out, too, here. Though I was provided a product to review for this blog, I have not been compensated in any other way, and the opinion expressed here is entirely my own.